Click the image to download the first chapter free. At last! We are proud to announce The Wolfenhowle Press’ first book by a new author! Kevin Groves – whom many of you will know from his courses in Second Life – has written a wonderful account of his spiritual journey. A PATH LAID BARE from his beginnings a young boy with a ‘ghost’ in the house, to an experienced healer and teacher. It really is a wonderful read, full of surprises, humour and insight! 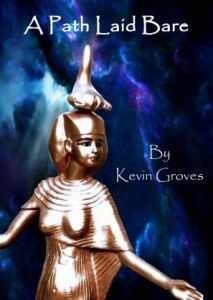 A heart-warming journey through Kevin’s intuitive path with his Goddess on his shoulder, this book was informative and informal. This was a very pleasant read with a walk-beside-me manner; you can almost hear Kevin’s voice in your ear. I thoroughly enjoyed the book and gained some insights into the Egyptian path Kevin follows but the real focus was the journey itself – and that is something I can relate to all too readily. Honestly written and at times deeply personal, the journey leads from a young man’s path of novice and student through to the experienced guide and teacher Kevin is today, taking in all the highs and lows along the way. Although the book has lessons to be learned, especially for anyone who is new to their own path, it came across as if you were having coffee and conversations with a good friend, rather than sitting in a lecture hall. I highly recommend A Path Laid Bare and, having met Kevin, can assure you that he is warm and friendly and gentle and that comes through beautifully in his writing, no ego or pretence, just an honest desire to share and pass on his knowledge and experience. Thank you also for the prompt and well-packaged delivery of the book when I ordered it. I don’t usually read books about other people’s spiritual paths, but this was recommended to me by a friend so I thought I’d give it a go and I’m very glad I did. One of the great things about this book is the way that it pulled me in. I didn’t expect that, and as I started to read about the author’s childhood and it all seemed very ordinary and a bit like my own. There was family stuff, playing with friends and cousins, and then suddenly things started to change and I realised that this was something very special indeed.What makes it special? Well, partly because amazing things started to happen to a very ordinary boy. In amongst playing out with his friends, his house is haunted, he starts to have out-of-body-experiences. They’re all fairly small things until you put them all together. And then there’s the build up as he begins to realise that a goddess (Selket, the ancient Egyptian Scorpion Goddess) is trying to contact him. The author comes across as an all round nice, ordinary guy. He doesn’t put on airs and graces, not even when he encounters a dragon! It’s all down to earth and straightforward. He recounts stories of unrequited love, of his work in computers, how he then retrains to become an electrician. At the same time, he practices meditation on train journeys! He’s just someone that I related to fully, no airs and graces, nothing put on. And because of this, when he writes that such and such happened, I believe him. This was a brilliant book and an unexpected treasure. I think I will be re-reading it often. May I recommend “A Path Laid Bare” by Kevin Groves? Kevin describes his way to find his path, his struggles ( as “modern people who hold a job often do). Then family “takes ” over ( as for good parents it happens! ) Kevin’s journey exposes similar thoughts, self doubts etc. as I have come across while trying to “juggle the above mentioned”- so it helps to hear/read about it! The preparations for the workshops at Witchfest CoA …. yes I did feel very similar if not the same, ( about preparation, the demonstration, the (???) time keeping, the response of those attending! ) … so a book that will encourage you to pursue your path! It will give you faith to continue your journey and believe in yourself! Loved this book. It opened my eyes a lot. It isn’t just the story of a spiritual path in the sense of what the author experienced, but also what he learned. That’s important for me, because I wanted to feel that I could learn too. And there’s a useful appendix at the back of the book, with extra information and suggestions. I liked the way that the author never claims to come from some super-psychic family or anything like that. He’s just growing up, like we all grown up – and he happens to have a ghost in his home. Or at least, that’s what it seems like at first. But it’s not a walking-through-walls type of ghost, and it’s not a poltergeist either, and gradually he begins to feel that something or someone is trying to get his attention. Even here, the author doesn’t mind admitting that he was slow on the uptake. He doesn’t realise, he doesn’t understand. This isn’t some Uber-student-of-the-Occult. Just an ordinary young man, trying to make sense of something wild and Out There! Worse, there’s nobody to ask because this is back in the days of the Internet. The author has to piece things together for himself. Write letters that wait ages for an answer. At the same time, he’s got a life to lead, school, finding a job, girls, all the stuff that makes the world go round. The thing is though, he never gives up. That’s the real lesson, I think. He keeps going, he keeps on trying. Eventually he does make sense of things – and that’s what makes this book so interesting. We walk the path with him. Great book. Really enjoyable. 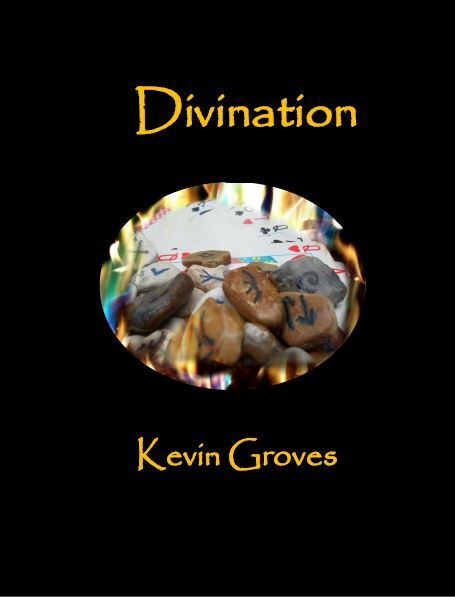 ‘An inspirational and well told account of Kevin’s unique journey with his Goddess, his open and honest style of writing puts the reader right there with him as the path unfolds. I didn’t know what to expect with this book, other than it was written by Kevin and that it would most certainly be about his beliefs. 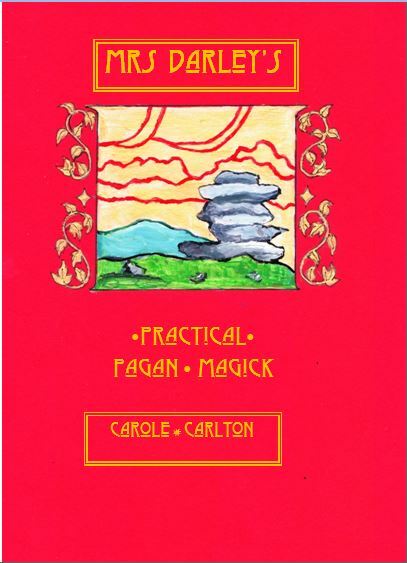 What I found was in no way a how to book, yet very much a reassurance to anyone on the pagan path about listening to the voices in your head (Kevin is very much not alone in that) and exploring the path that opens up before you. A beautifully written (and edited *winks at Tylluan Penry) biography that maps a life and a spiritual journey as one and the same thing. Kevin Groves doesn’t teach a spiritual path, he shares his just by being Kevin.